The 7000 series pivot is second only to the industry-leading 8000 series for reliability, durability, and overall performance. You need to maximize yields and acres on small fields, too, and they shouldn't be treated differently than large fields. 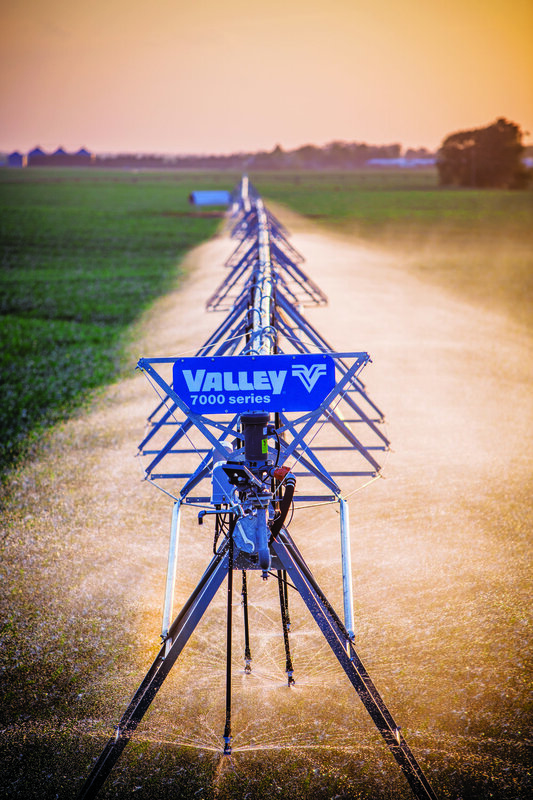 That's why we offer the Valley® 5000 series center pivot, a precision irrigation machine that is as durable as the 8000 series, but specifically designed for your smaller fields, up to 60 acres. The Valley® VFlex™ Corner was designed for those of you who want options! This corner machine is completely customizable and was developed using input from growers like you. With more options than any other corner on the market, the VFlex can be built to fit the requirements of your field. The Precision Corner earned its name because of the precise way it applies water, chemicals and fertilizers to your fields. The Valley Bender is an option added to your center pivot that basically "wraps" it around whatever is in its way: a tree line, a fence, a dairy, or other obstruction. Two barriers are installed by your local Valley dealer on either side of the area that you want to irrigate around. When the pivot reaches the first barrier, the span tower that has the Bender installed, also known as the "bending" tower, keeps irrigating while the rest of the pivot stops. When the "bending" tower reaches the second barrier, it auto-reverses until it becomes flush with the stopped portion of the pivot, which will then resume irrigating in normal fashion. 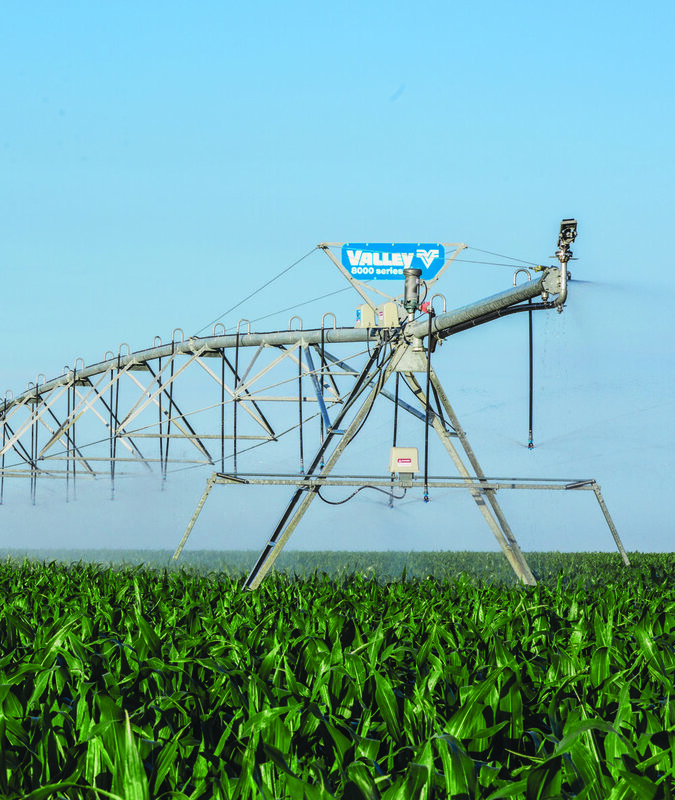 • Span diameter options — 6", 6 5/8", 8 5/8", 10"
• Span diameter options — 6", 6 5/8"
DropSpan™The Valley DropSpan is an option available for both center pivots and linears that literally "drops" one or more of your machine's spans to continue irrigating around a tree line, a fence, a dairy, or other obstruction. You can easily detach the spans from the rest of the machine in less than 15 minutes without tools, gaining you extra land to irrigate in little time! Two barriers are installed by your local Valley dealer on either side of the area that you want to irrigate around. When the pivot or linear reaches the first barrier, the machine stops so that you can detach the towers with the DropSpan. Once the spans have been "dropped," the rest of the pivot or linear continues to irrigate your field. When the machine reaches the second barrier, it auto-reverses until it becomes flush with the stopped portion of the pivot or linear, which will then resume irrigating in normal fashion after the towers with the DropSpan have been reattached. • Spans can be dropped or reattached by one person, without tools, in less than 15 minutes!